Acer’s latest rendition of the 15.6″ Chromebook brings with it some major upgrades from previous year’s models and with less than a month of sales under its belt, Best Buy has slashed the price on the already affordable, Pentium-powered device. 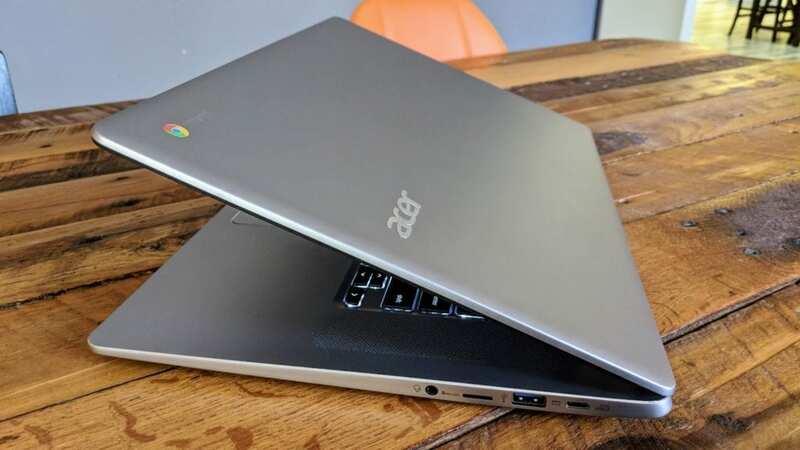 Having just recently unboxed the partially aluminum Acer 15, we’re still poking and prodding the Chromebook 14 look-alike but early impressions are very favorable. Robby’s full review will be forthcoming as soon as we’ve put it through the paces. Before we talk price, let’s recap what you get for just under $400. As far as Chromebook resumés go, this is a pretty impressive list. I’ve owned a number of older Acer 15s including the Celeron 3205 and the Core i5 model which still goes for close to $500 and all of them performed admirably. One thing in particular that stands out on the Acer 15 are the speakers. Many Chromebooks have upward firing speakers and some of them even sound really good. Well, as good as laptop speakers can sound. Because of the large form-factor, the Acer 15 has always had dedicated space on either side of the keyboard with speaker grills to reduce the muffling often found in these types of speakers. They sound good and the newest iteration of the 15.6″ Chromebook sounds even better with the aluminum deck and seemingly improved speakers. For the Chrome OS user looking for a large desktop and ample power, the Acer Chromebook 15 is priced competitively and is shaping up to earn its price tag of $399. Best Buy, one of the very few retailers carrying the Acer, has knocked the price down to $359 making this a no-brainer of a deal if you’re looking for an upgrade from previous models of the Acer Chromebook 15. If you have been considering the new Acer 15, I’d say now is the perfect time to pull the trigger. Save $40 and get a beautiful Chromebook with a lot to brag about.